This restored classic colonial home in the Village of Chevy Chase has approximately 4,575 exquisitely finished interior square feet. It is built on a large level lot nestled on a quiet street within easy walking distance of all Friendship Heights amenities. The home has five generous bedrooms with five full bathrooms and one powder room. The home includes many green features such as a paver driveway, energy efficient rated windows, ENERGY STAR-qualified appliances; high efficiency HVAC Systems with programmable thermostats and is built with certified green materials. Its exterior features a brick façade with lovely portico main entrance. An additional side covered entrance brings residents into the mudroom. The brick chimney and slate roof complete the attractive curb appeal. On the first floor, you’ll find oak floors, long sightlines extending from the foyer and two piece crown molding in the living room, library, formal dining room and Chef’s Kitchen. The foyer is also adorned with an antique brass chandelier Rooms are pre-wired for data, cable, and telephone. The grand Chef’s Kitchen features built-in equipment, custom cabinetry, stone countertop with custom backsplash and a butler’s pantry with built-ins. The adjacent breakfast room overlooks the backyard. 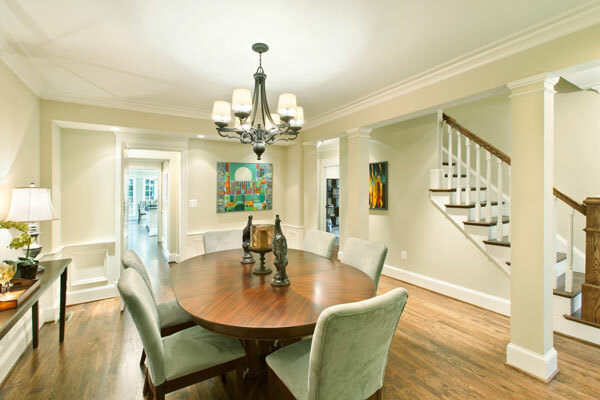 It is lit with an antique chandelier and features crown molding with beaded board wainscoting. 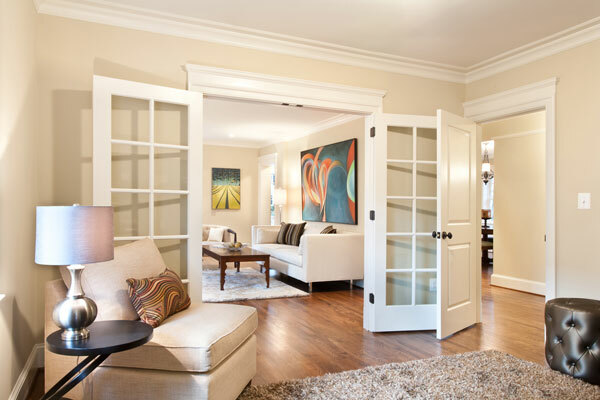 Step down into the family room and feel the added ceiling height. French Doors open out to the open air loggia with stone floor at rear yard. 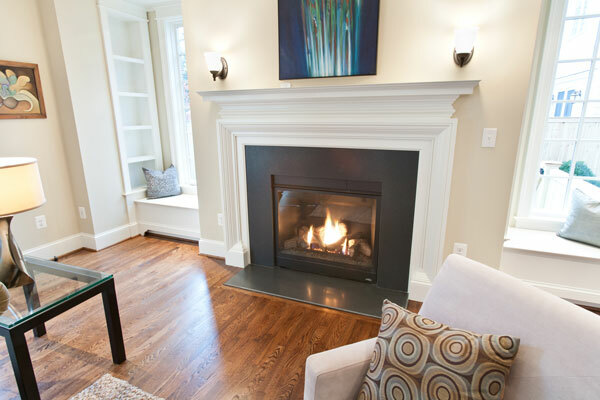 Cozy up next to the natural gas fireplace with hand crafted wood mantle during cold winter months. 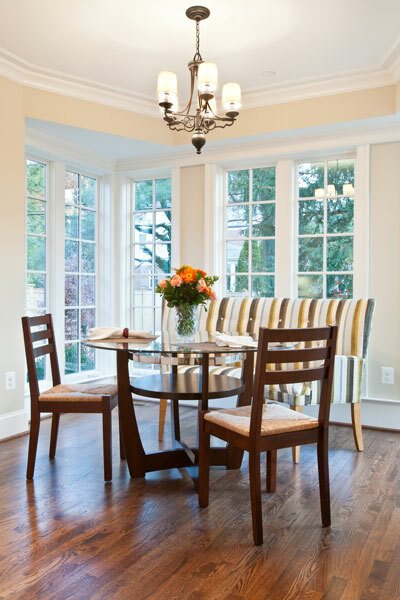 Crown molding decorates this room as well as coffered ceiling and built-ins. Boutique Powder Room is filled with an antiqued painted wood and stone vanity, beautiful plumbing fixtures, and a wall sconce. Two coat closets offer plenty of storage space and the mud room includes custom made cubbies and built-ins. Travel up the oak staircase with handcrafted balustrade to the second floor to find four bedrooms with four bathrooms. There is also a laundry room with built-in front loading large capacity washer and dryer. 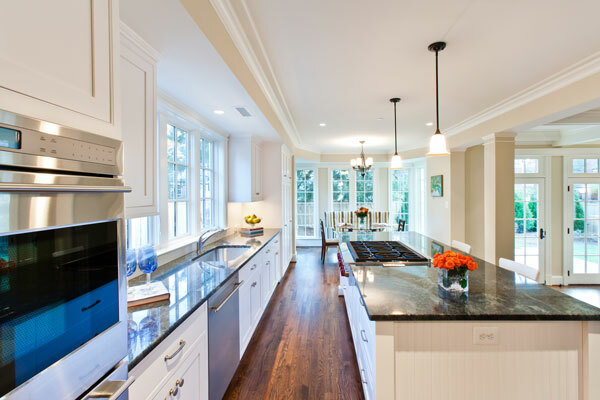 Cabinetry and counters really make laundry is less of a chore with plenty of storage. The Master Bedroom Suite overlooks the rear yard. Its coffered ceiling with three piece crown molding and recessed lighting give dwellers a sense of peace after a long day. The massive walk-in closet is designed with built-in wardrobe accessories. The room is pre-wired for data, cable, telephone and security. 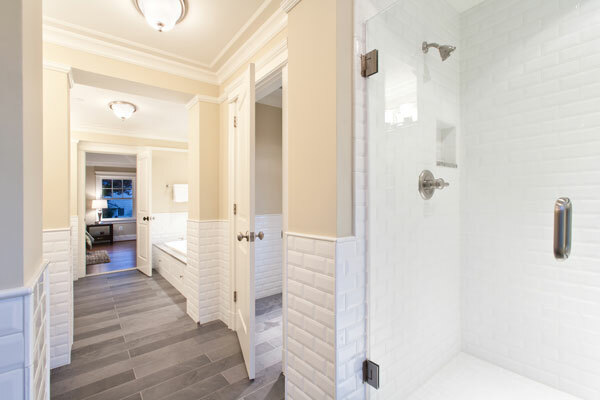 The master bathroom is done in marble with coffered ceiling and two piece crown molding. It has antiqued painted wood and stone vanities with two sinks, built-in medicine chests, shower with frameless glass door, bench, multiple shower heads and handmade marble shelving, six-foot cast iron soaking tub. There is a separate toilet room with telephone. The three additional bedrooms have private wardrobes, and are pre-wired for data, cable, and telephone. The secondary baths are done with classic tile wainscoting, vanities with stone countertops and built-in medicine chests. Finally, in the basement another bedroom contains a separate entrance which is a great option for an Au Pair, other staff, or home office. It also includes large walk-in closets, and is pre-wired for data, cable, and telephone. The basement is also home to a second family room and a full bathroom that has a tub with shower, vanity with stone countertop and built-in medicine chest. The mechanical room filled with work by master craftspeople whose work is a show piece worthy of this home.